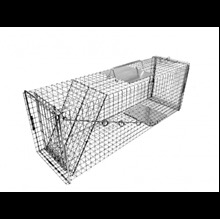 Model 606NC is specifically designed for trapping feral cats. This feral cat trap weighs 10 lbs and measures 30L x 10W x 12H. This trap is constructed from 1" x 1" - 14 gauge galvanized wire mesh. 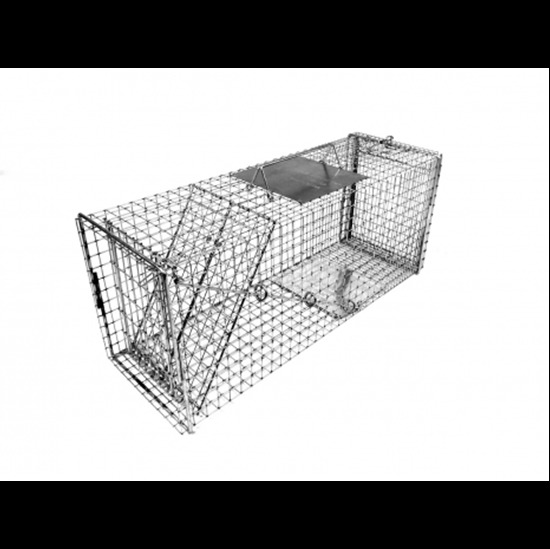 We worked closely with the Neighborhood Cats Organization to design a trap specifically for catching feral cats. These feral cat traps feature an extra large trip pan to prevent cats from stepping over it to steal bait; an extra large hand guard for added protection from scratches; extra large double handles; rear sliding door for easy transfer, release and baiting; bait saver mesh on the back portion of the trap to prevent cats from reaching in and stealing bait.